LAURA LOUISE HAYNES: N E W I N | Chunky caged shoe in white. 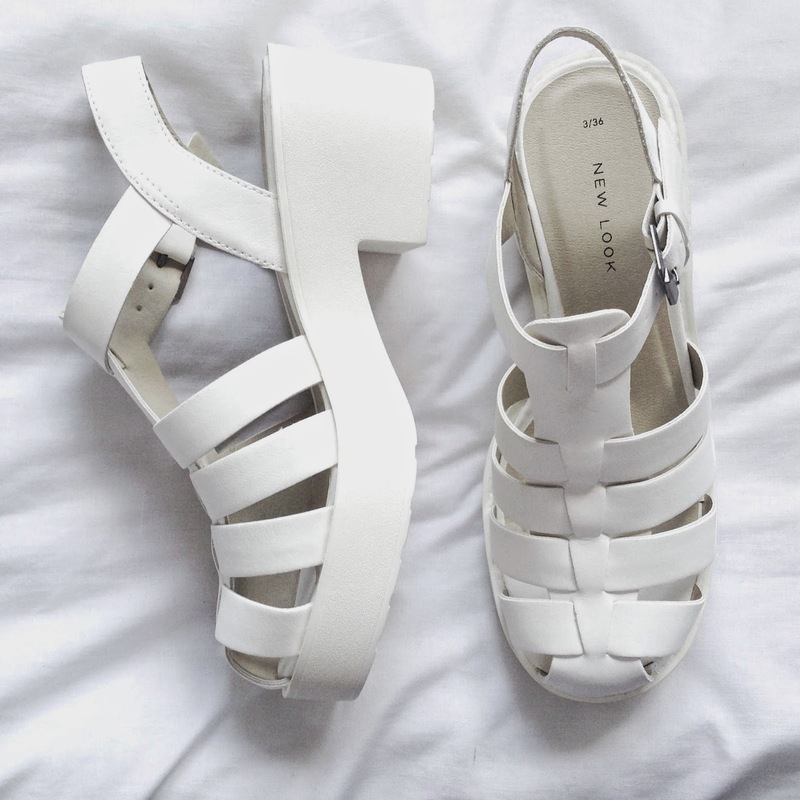 N E W I N | Chunky caged shoe in white. I think by now we can establish that I really am a shoe person. I have only gone and got my beloved New Look chunky caged shoe that I had in black now in white. Well I needed some white everyday shoes in my life and now I have some. I got them for a bargain too so I couldn't really say no when I finally found size threes. Now I can have white on white outfits. Yes. So here I am still purchasing summer shoes when I can see shops already starting to stock up on winter boots and today Primark had their A/W 14 press day. I already can't wait to see what's in store! I've seen these in New Look and considered getting them! May be a little more persuaded now! I have these!!! I love them sooo much!